Prepping for the holiday season- I've got paper on the brain. I'm a sucker for anything with pretty paper and/or ribbon, but how does that work into my whole going green thing? To my very pleasant surprise, swimmingly. 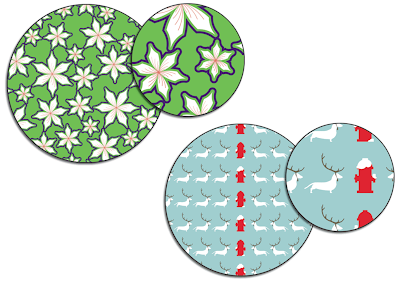 I had a ball poking around the net to find some eco-friendly holiday paper. From cards to wrapping paper, you're covered. Thanks so much, Meg, for such a nice post. 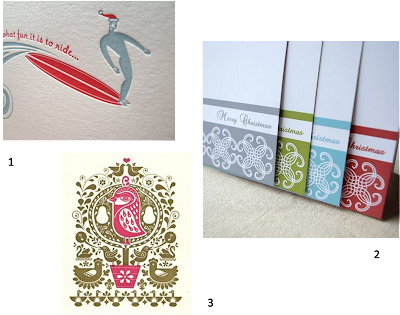 We so appreciate you featuring RedStamp.com cards. 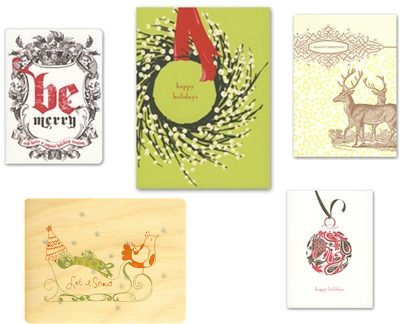 We've worked hard to provide a large eco-friendly collection of holiday cards - so glad you like it. And given the fact that you recently moved across the globe, I thought you might appreciate our Mail for Me service that just launched this past week :: http://www.redstamp.com/mailforme. We'll address and mail your holiday cards for you! All of my expat friends are loving this as it's so much easier to have us send to the U.S.
Again, thanks, Meg. Happy Holidays!